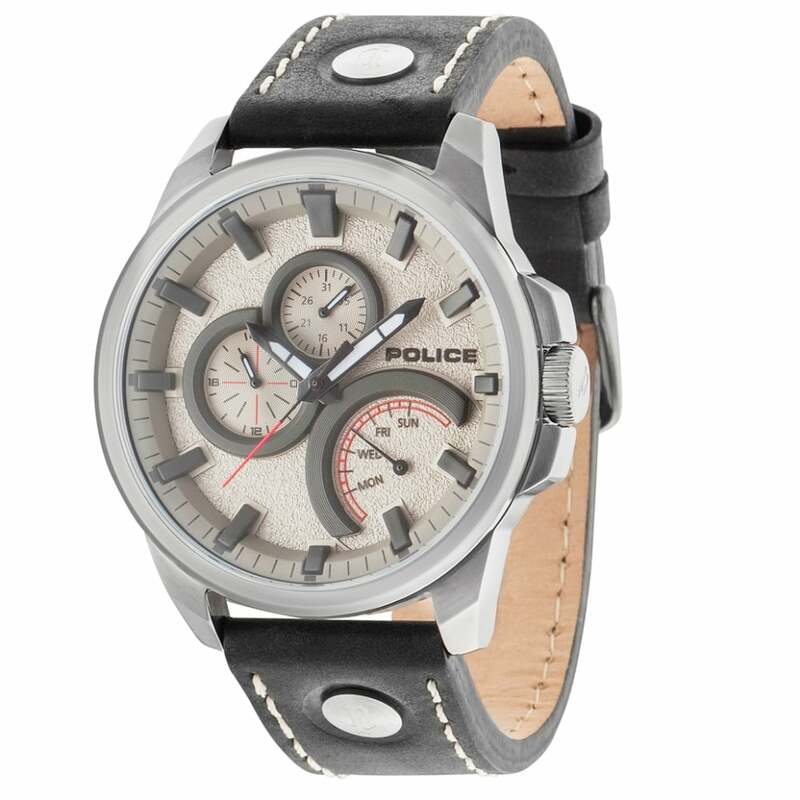 The Police Navigator 14799JSU/61 Men's Black Leather Watch has a 48mm black ION Plated steel case and comes powered with a quartz movement. It has a black leather strap and a grey dial accommodating a date display. February 18, 2018 | James. Great watch. Great looking. Comfortable. Best watch ever had for look, comfort, style.